Today, there are several non-surgical options available for hair restoration or hair regrowth, ranging from hair products such as pills and creams to injections. Skin pigmentation refers to coloring of the skin caused by either the excessive production or the under production of a pigment called melanin. Laser resurfacing refers to a treatment for reducing facial wrinkles and other irregularities in the skin, such as blemishes or acne scars. Laser hair removal is one of the most commonly performed cosmetic procedures for removing unwanted hair. This procedure essentially involves targeting beams of highly concentrated light into hair follicles. 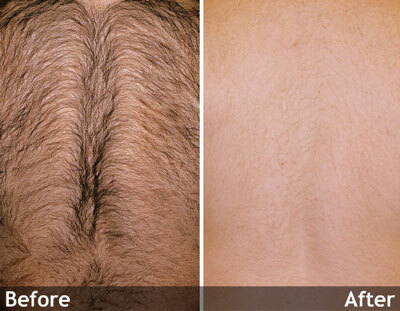 The pigment in the follicles absorbs the light which eventually destroys the unwanted hair. Laser hair removal is a medical procedure that requires a lot of training to perform and carries the possibility of risks. It should be done only by a well-qualified and experienced doctor or technician. If you have decided on undergoing laser hair removal, you should refrain from plucking, waxing, and electrolysis for at least six weeks prior to the treatment. You should also avoid constant exposure to sunlight for six weeks before and after the treatment. Before the procedure, your hair will be trimmed a few millimeters just over the surface of the skin. Then the technician or doctor will adjust the laser equipment based on the color, thickness, and location of your hair which is being treated as well as your skin color. The patient as well as the technician will have to wear suitable eye protection. A cold gel or special cooling equipment should be used to protect the outer layers of your skin. This will help the laser light penetrate the skin. The technician will then give a concentrated pulse of light to the treatment region and observe the area for some time to check for bad reactions. After the procedure is completed, ice packs, anti-inflammatory creams or lotions, or cold water will be applied to the treatment region to relieve any discomfort. You can schedule the next treatment after four to six weeks. The treatment will continue until the hair stops growing. Always wear sunscreen to prevent any temporary changes in the color of the treated skin. Blisters are often rare. However, they are more likely to occur in people who have dark complexion. Some of the other possible side effects are inflammation, redness, and scarring.